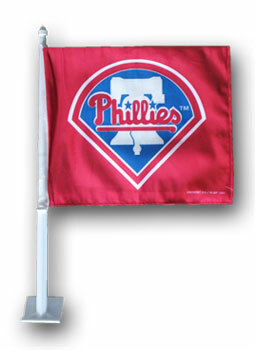 Our Major League Baseball Car Flags are all 11.5 x 14.5 inch high-quality satin polyester car flag. Fits securely on your car window. For a balanced look, get one for each side of your car!